Project detail: 2h Storage Solutions were involved in the design of the pallet storage systems from the outset of this project. 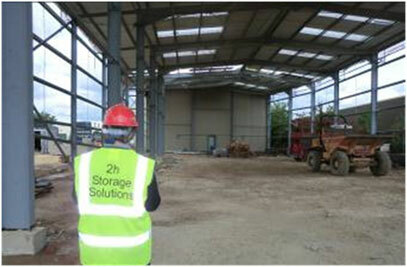 From initial site survey, design meetings with the key stakeholders and technical meetings with main contractors and suppliers the main focus was always to ensure we delivered our customers key objective of maximising pallet storage within the new build. 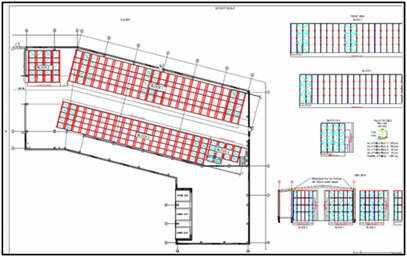 Our pallet racking design incorporated 4 blocks of Drive In Pallet Racking, these blocks were required to fit the footprint of the building whilst still capitalising of pallets stored. Because of the nature of the stored items, how they would be loaded and unloaded in to the system, as well as the turnaround time of the stock, Drive In Pallet Racking provided an ideal storage option. 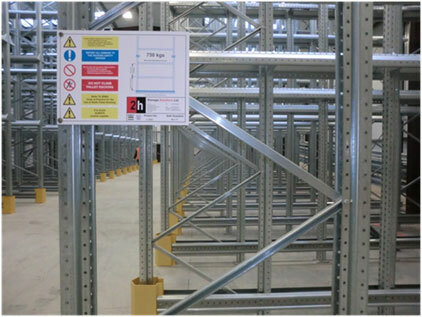 2h managed the entire on-site pallet racking installation project. Our professional installation team undertook all aspects from unloading materials to theodolite measurements to ensure a level installation, the entire project was installed in 8 days including the Drive In racking, barriers and rack end protection.